Its really the Lambda Centauri Nebula and I approve of this. It's both, and if we really wanted to get technical, we'd call it IC 2944. 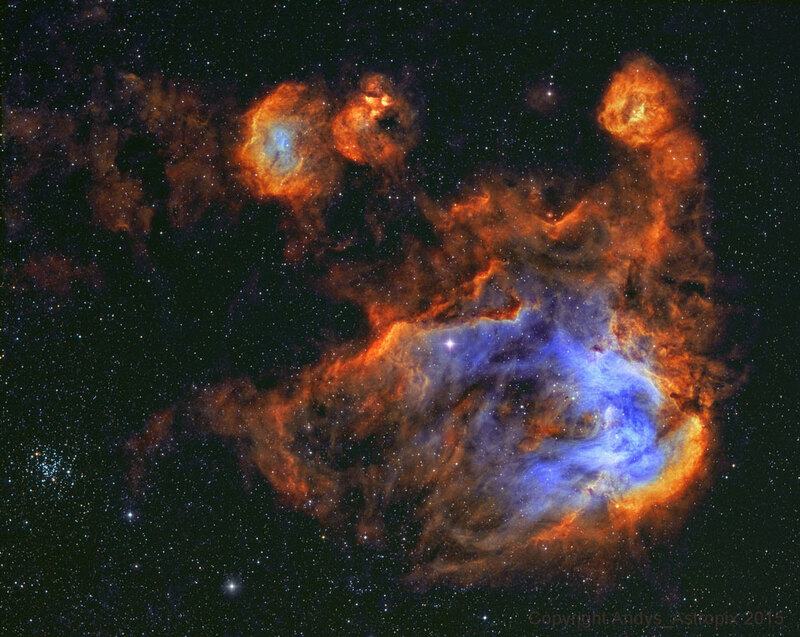 But seriously, how do nebulae like this get named!? Bambusman, the Dumbbell nebula shares the same model and texture as the Eskimo. Were you planning to do it? Hornblower, the dumbbell nebula is not from me i created the "little dumbbell nebula". and the next release might come out next week or so. Because i currently can't really work on them. These are awesome! I hope they get integrated into the next version of the game. I hope they get integrated into the next version of the game. Bambusman, Why do your nebulas always look so great only at certain angle? Kexitt, because that's the view seen from earth, so its the front texture. Probably because figuring out a nice 3D shape of a nebula with no radial symmetry *and* getting an image closer to reality is difficult as hell.